While 'Simmba' won the heart of fans, director Rohit Shetty won hearts of the Mumbai Police. 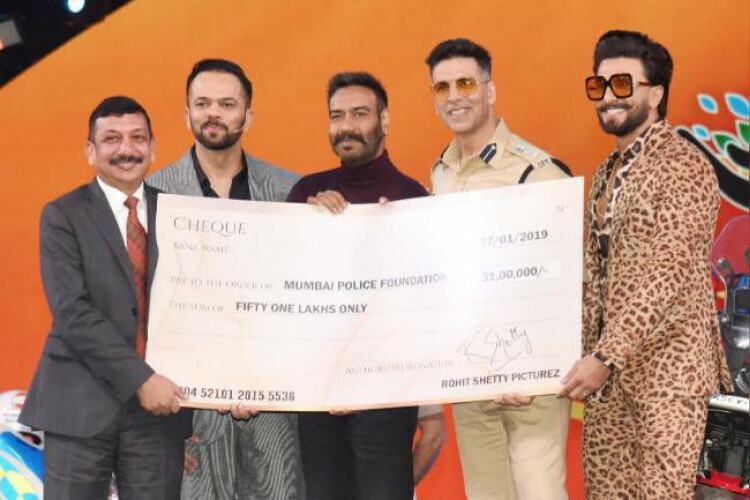 The reason is that he donated Rs 51 lakh to the Mumbai Police from the profit of his film 'Simmba' starring Ranveer Singh and Sara Ali Khan, at Umang Awards 2019. The check was handed over on the behalf of his production house 'Rohit Shetty Picturez' to the Commissioner of Police. The film was in the row of 'Singham'.